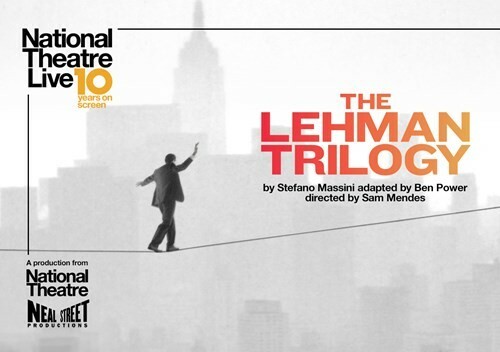 Adapted by BEN POWER, directed by SAM MENDES.The story of a family and a company that changed the world, told in three parts on a single evening.Academy Award-winner SAM MENDES (Skyfall, The Ferryman) directs SIMON RUSSELL BEALE, ADAM GODLEY and BEN MILES who play the Lehman Brothers, their sons and grandsons.On a cold September morning in 1844 a young man from Bavaria stands on a New York dockside. Dreaming of a new life in the new world. He is joined by his two brothers and an American epic begins.163 years later, the firm they establish – Lehman Brothers – spectacularly collapses into bankruptcy, and triggers the largest financial crisis in history.This critically acclaimed and five-time Olivier Award nominated play features stunning set design from ES DEVLIN (NT Live: Hamlet) and will be broadcast live from London’s West End as part of National Theatre Live’s 10th Birthday season.